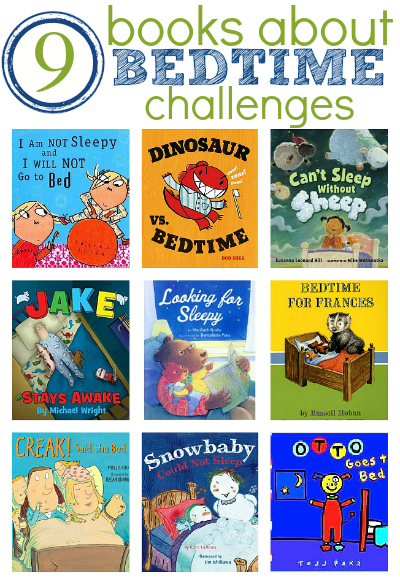 Bedtime challenges are one thing that most families face from time to time. Reading books about anything that your family may be facing is such a great way to talk about it when emotions are calm. These books make me feel normal and I hope at least one may really help you too! 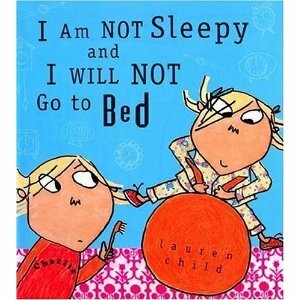 I Am Not Sleepy and I Will Not Go to Bed (Charlie and Lola) by Lauren Child is a story about Lola who will not go to bed easily. Charlie her older brother has been asked to help his parents and get her to bed and Lola makes him work for it. She is full of imaginative ways to stall the inevitable and Charlie plays along all the while trying to stay one step a head of his little sister. Kids love Charlie and Lola because they are absurd and funny and if you can read it to them in a British accent it’s even funnier. 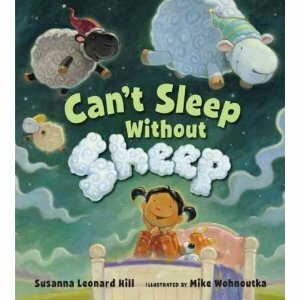 Can’t Sleep Without Sheep by Susanna Leonard Hill is an absolutely fantastic story about a little girl who needs to count sheep to get to sleep but there is one big problem the sheep are too tired to jump. They promise her to find replacements but animal after animal is just not working out. I laughed out loud at many pages of this book ( especially the chickens) and my daughter loved it even if she didn’t get all the layers of humor. Very sweet book . 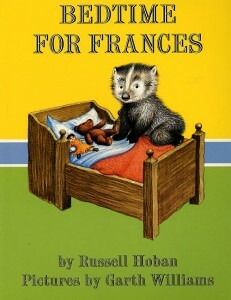 Bedtime for Frances by Russell Hoban is a classic. 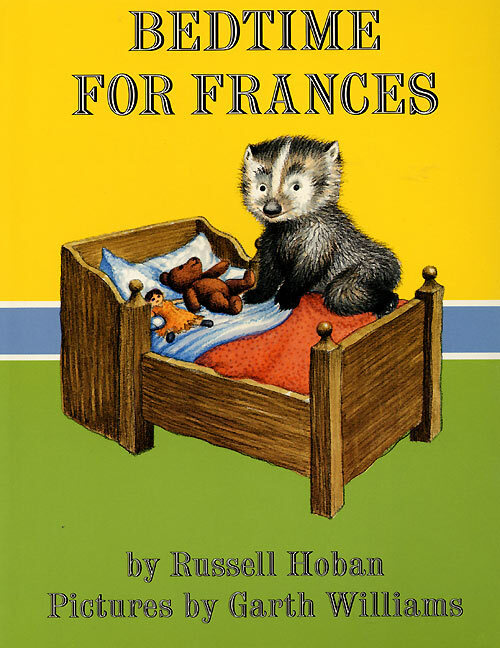 Frances and her very loving mom and dad are struggling with bedtime. She goes to bed but then keeps getting out of bed with reason after reason as to why she can’t sleep. The start of this story is really sweet and her parents were kind and gentle with her trying to alleviate her fears without fixing everything for her. As the evening wears on and her parents go to bed themselves their patience is tested. Now I am not a fan of spanking and I have never spanked my kids so I had t explain to them what a spanking was and why Frances didn’t want one. I don’t think that you should avoid this book if you are ideologically against spanking I think it’s a great opportunity to talk about different discipline techniques and a chance to talk about frustration and sleep when you aren’t frustrated because your kids can’t sleep. 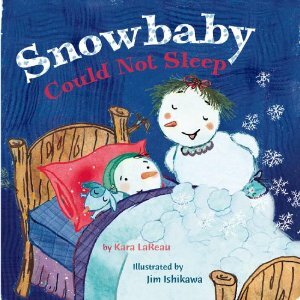 Snowbaby Could Not Sleep by Kara LaReau is a sweet winter themed story about a little Snowbaby that simply can not get to sleep. He counts snowflakes, his Snowmama gets him extra snow because he was too hot and still he can’t sleep. What finally gives him enough comfort is when his parents make him his very own Snowpuppy to snuggle all night long. 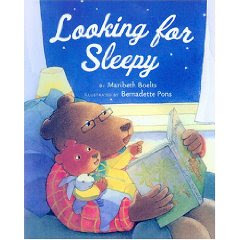 I like gentle books like this because as a child I had terrible nighttime anxiety and as a mom have always been very gentle at bedtime until I knew my kids felt secure enough to handle each new stage of nighttime independence. 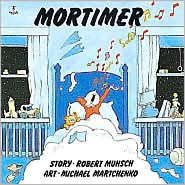 My toddler who is 2 loved this book . Creak! 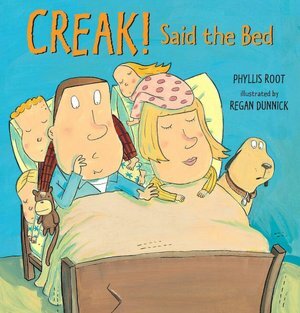 Said the Bed by Phyllis Root is hilarious especially if you like me start the night in the bed with just your spouse and wake up with the whole family in your bed. 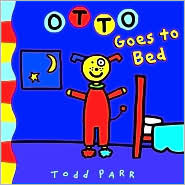 The family in the book is asleep all in their own beds but as the night wears on each child comes in and when the dog does the bed simply can’t hold. My kids liked this book but I loved it, it spoke to me especially the bit about the dad sleeping through each child waking up and the mom welcoming them with open arms. That is our family exactly. You will all giggle at the funny sleeping positions too. 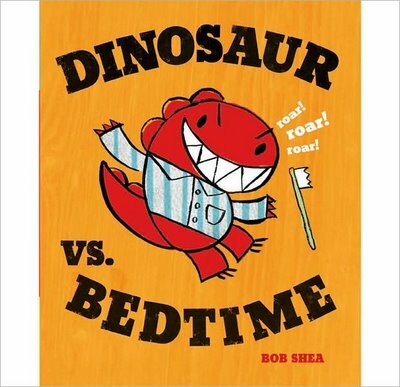 Dinosaur vs. Bedtime by Bob Shea is such a great book for toddlers. Dinosaur is a tornado full of energy much like a 2 year old and attacks each event in his day with serious gusto. When it’s time for bed he roars through bath and toothbrushing and then just roars like mad when it’s time for bed. Much like my little dinosaurs he eventually gets sleepy and unlike the rest of the day bedtime wins and he falls asleep. 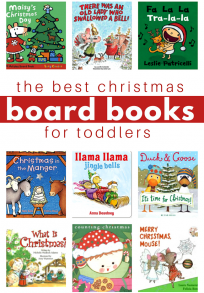 My kids love all the Dinosaur Vs. books and I do too. They are fun , simple and if you can manage a really loud gruff voice it’s that much more fun to read. 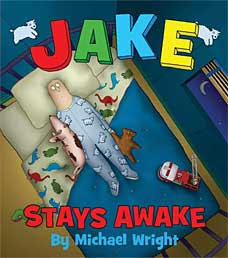 Jake Stays Awake by Michael Wright made both my husband and I laugh hysterically. My son enjoyed the book but we loved it. It’s about a little boy who can’t sleep without his parents and they don’t like sleeping with feet in their faces. Can you relate? We can , which is why we found this book so funny. What I liked was that Jake wasn’t disciplined for wanting to sleep with his parents they were just being honest that it wasn’t working anymore. They tried so many different places hoping a change of venue would be all he needed. My son loved the page that they were all sleeping in garbage cans and I loved that Jake looked to be about 12 , it gave me hope that my son may sleep alone by puberty. Next Post: #blog4cause – Join the fun and do some good! We love Charlie and Lola! 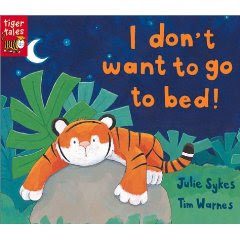 I Am Not Sleepy and I Will Not Go To Sleep was our first of the series and it is adorable! My daughter can recite it word for word!